Smaller ereaders like the Kobo Mini may have been relegated by many as collectibles or hacking projects, but they haven't completely vanished from the retail market. A post on MobileRead brought a "new" 5" ereader to my attention. The Wizlib 5 is the smallest of three ereaders offered by the Philippines-based Redfox. Even though this company has been selling ereaders since 2010, it's still hard to find info on Redfox hardware online but according to a deals site the Wizlib 5 has a keyboard, 2GB internal storage, a g-sensor, and a radio of some kind (FM, to be exact). Its 5" E-ink screen has a screen resolution of 600 x 800, and it does not have a touchscreen. But it does have that keyboard, although since we know nothing about the software we don't know what it's good for. So if you want a 5" ereader, an option does still exist. But it's going to be rather hard to buy outside of the Philippines; I can't even find a local retailer who carries it, much less one which will ship internationally. If you do find a way to get a WizLib 5 shipped, or if you have one yourself, please let me know. I'd like to know more about it. Edit: A reader has told me that when this ereader was released five years ago, it really did cost that much. He also said that it supported mp3s, but had a non-standard headphone jack. 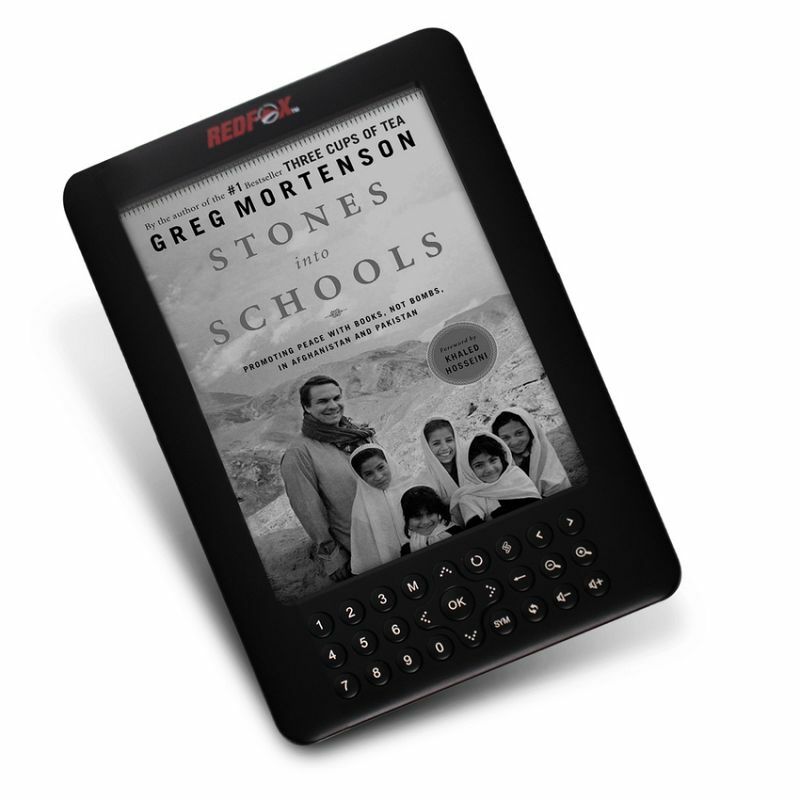 And as you might suspect, it is a rebranded Chinese ereader, the Sibrary. The most important question is: Does it have a lit screen? Your most important question is irrelevant. The most important question is availability. It doesn’t matter if it has a front light if you can’t even buy it. I never understand the obsession that some have with the front light. I know that you own lamps. There is no way that you simply did not read before the invention of the ereader. That’s too bad. I can fit a six inch ereader in my pocket but I can fit a five inch one even better. Perfect for traveling, especially when I want long battery life which my phone can’t provide. Have you looked at the 5″ Kobo Mini? @Anne: it has not been in production in years. I have one and battery is bad due to age and it’s just clunky and slow. I love the Kobo Glo HD and Aura H2O but the Kobo Mini is terrible. I only got into e-reading once they had a built-in light, which was the first Paperwhite in 2012. It is very important to me that the device has its own light, rather than having to use a outside source. It is not an obsession. I have read paper books before e-books. *Lots* of them. Then I started using various old notebooks and obsolete PDAs(*), later I started to use the first generation of e-ink readers. Each of those were highly usable. Yet each new generation was an improvement. I only use front-light on my e-ink reader at the lowest levels. But when I switch the light completely off when reading in less than ideal conditions I see a significant difference. (*) Old LCD screens shining light into my eyes were definitely not an improvement in terms of readability or reading comfort, but with e-books I suddenly had an over-abundance of high quality reading material in English. I live in a non-English speaking country and prefer to read in English. I don’t think E-ink ever made a 5″ screen with a frontlight. 4.3″ Onyx Boox Inkphone does have a frontlight. Very lousy one, but it has. So I can hope that somebody, someday will produce a front-lit 5″ e-ink reader with a small bezel that fits into the pocket like PB360 did. Yes. I think the 4.7″ E-ink screens used for smartphones also has a frontlight.